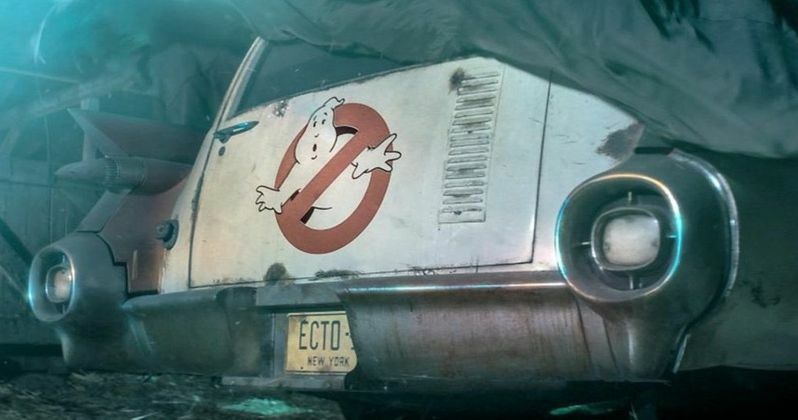 Ghostbusters 3 isn't wasting any time, as production is set to begin this spring, according to a new report. We only learned of the sequel last month, which comes from Jason Reitman, son of original Ghostbusters director Ivan Reitman. Sony is eager to get the project off the ground and they've already locked down a summer 2020 release date. Now, we have word that filming will be getting underway in just a few short months. Before we get too excited, this information isn't coming directly from the studio, so we should caution that up front. That said, a new report states that Ghostbusters 3 is currently eyeing a May 13 start date. That may seem like a quick turnaround for such a major summer blockbuster, but Jason Reitman and the studio have been putting this together behind the scenes, rather quietly, for some time. Reitman even shot a Ghostbusters 3 teaser trailer that was revealed on the day it was announced to let the world know that this is very real. So it wouldn't be at all shocking to learn that this date is accurate. For the time being, not much has been officially revealed about the movie. What we know for sure is that it will take place in the same universe as the original movies and will reportedly center on a group of younger kids who will presumably be taking up the ghost busting responsibilities left behind by Egon, Peter Winston and Ray. It will be ignoring the events of the female-led 2016 reboot, in favor of a proper third installment. While that resulted in some backlash from Leslie Jones, who starred in the reboot, it's a decision that, from a business perspective, makes sense. Paul Feig's 2016 reboot was met with a mostly positive response from critics. However, the movie grossed just $229 million worldwide. That number might seem okay, until the very steep $144 million budget is factored in. As such, Sony decided not to continue on with that version of the franchise. Jason Reitman isn't just his father's son. He's an accomplished director whose credits include Juno, Up In the Air and last year's political thriller The Front Runner. Reitman penned the screenplay with Gil Kenan. As it stands, there is no word on casting, nor is it clear if the original actors, Ernie Hudson, Dan Aykroyd and Bill Murray, will return. While Hudson and Aykroyd seem more than willing and happy to do so, Murray would seem to be the biggest question mark. Sadly, Harold Ramis passed away in 2014. Assuming this start date is accurate, or at least assuming that Sony sticks to releasing the movie next summer, we should be hearing solid word on casting sooner rather than later. We'll be sure to keep you posted as any further details on the project are made available. Ghostbusters 3 is currently set to hit theaters on July 10, 2020. This news was first reported by the Discussing Film Twitter account.